The cast and crew of Peaky Blinders gathered together for a group snap to celebrate the completion of filming for season five. 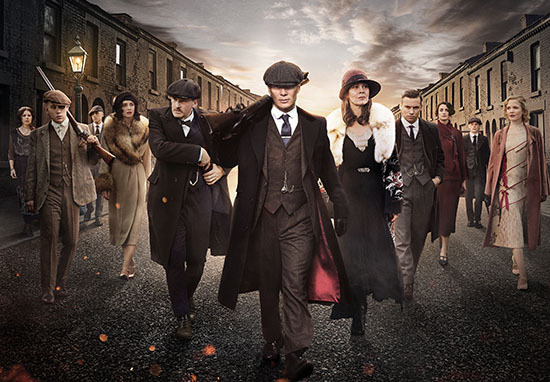 The highly anticipated upcoming season of the period drama has been in the works for some time, and with every behind-the-scenes shot and intriguing clip, fans have been getting ever more desperate to learn what Tommy Shelby and his gang will be getting up to this time around. But now, after almost exactly four months of filming and over a year since season four, we’re closer than ever to seeing the Blinders back in action – this time on BBC One. Season five director Anthony Byrne shared a throwback picture of himself and lead actor Cillian Murphy to his Instagram shortly before filming came to an end, showing the pair in classic peak caps on the first day of filming. This was taken on Day 1.. We wrap tomo after 18 weeks.. I could not have found a better collaborator, ally, friend, actor to go on this journey.. it’s been quite an adventure and it ain’t over yet. As Byrne implied with his ‘ain’t over yet’ comment, the conclusion of filming unfortunately doesn’t mean the show will be gracing our screens immediately as there’s still lots of cutting, editing and visual effect-ing to be taken care of behind the scenes, but we’re certainly a big step closer now filming has wrapped. 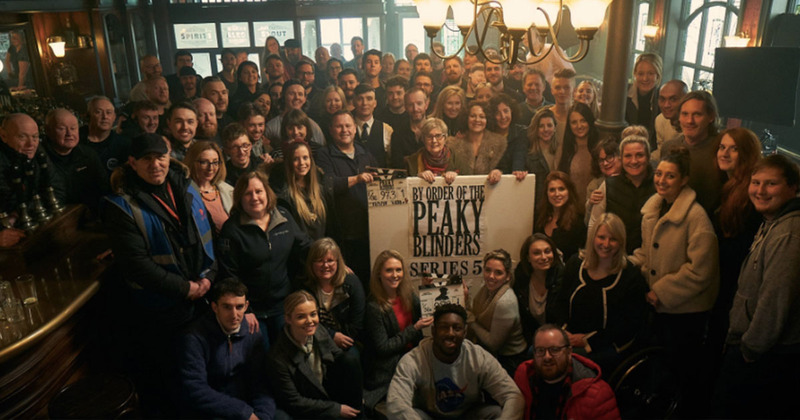 The cast and crew celebrated their achievement by gathering for a big group photo, which was shared on the Peaky Blinders official Twitter account. Hopefully there were some celebratory drinks flowing in that pub; they all deserve it after their hard work!